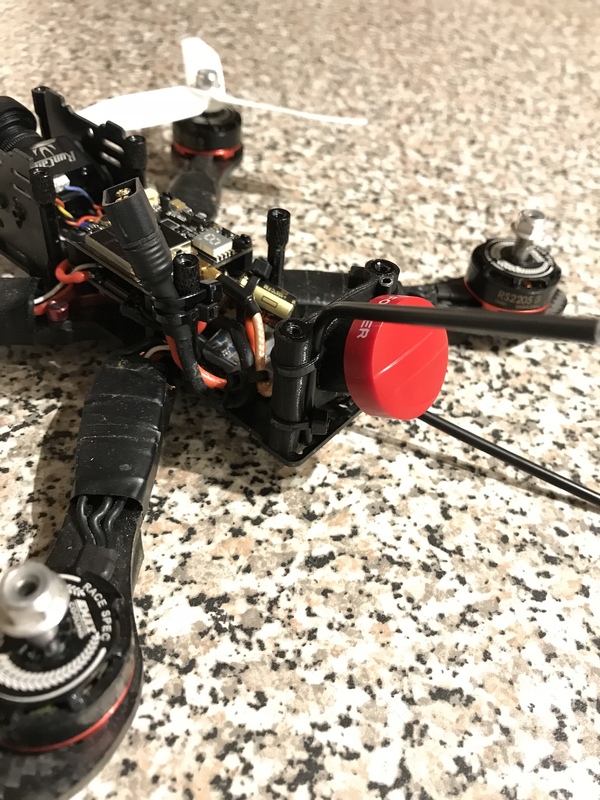 Foxeer Pagoda Pro mount for GepRC VX-5 (31mm rear standoffs) by ledroneclub is licensed under the Creative Commons - Attribution license. 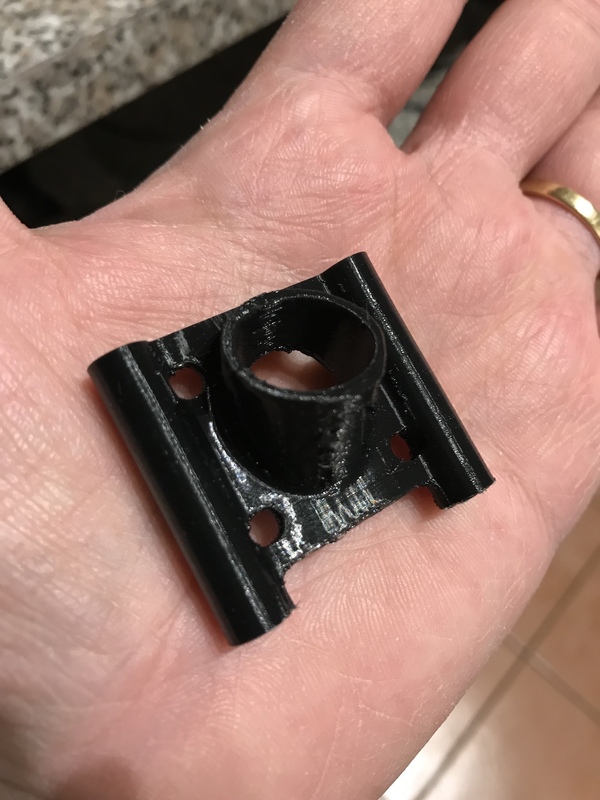 This is a custom mount for a Foxeer Pagoda Pro MMCX antenna intended to fit on a GepRC VX-5 mini-quadcopter frame. Basically it will fit on the 2 35mm rear standoffs of the VX-5 frame. The distance between these standoffs is 31mm. So it can be adapted on other frames quite easily. When installing the antenna you should use hot glue to seal it. 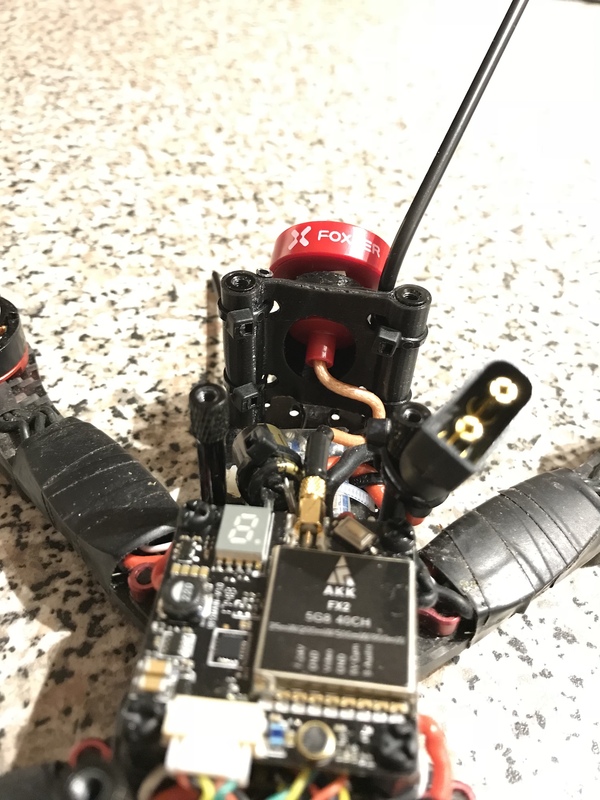 I designed this in order to provide a clean and robust mount for the fpv antenna. The 4 holes are intended to allow you to attach receiver antenna tubes as well using zip ties. The one i currently use is printed with TPU filament. 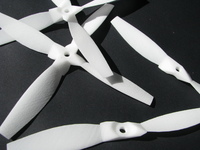 Say thanks by giving ledroneclub a tip and help them continue to share amazing Things with the Thingiverse community. Say thanks and help ledroneclub continue to share amazing Things with the Thingiverse community. You'll need a PayPal account to tip ledroneclub. Click the button below and you will be redirected to PayPal. Once the payment is complete, you'll be brought back to Thingiverse.